Narcotics Detectives Bust Meth House, LEGGETT, February 18, 2014 - According to Polk County Sheriff, Kenneth Hammack, on Tuesday February 11, 2014 Detectives with the Narcotics Division and Criminal Investigation Division along with the Deputies with the Patrol Division from the Polk County Sheriff’s Office responded to Fagin Farm Road in Leggett in reference to an open investigation involving the manufacture of methamphetamine. When detectives arrived they were greeted at the door by Joshua Sackberger, 32, of Livingston. 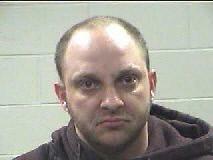 As Sackberger opened the door Detectives smelled a strong chemical odor consistent with a methamphetamine laboratory. 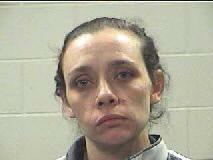 Detectives secured the residence and a search warrant was obtained for the residence. While drafting the search warrant the other occupant Kristie Matthews, 37, also of Livingston, arrived at the residence and was detained along with another vehicle driven by Buster Matthews 38, of Livingston. Buster Matthews was subsequently arrested for traffic offenses. Once the search warrant was obtained, a search of the residence was conducted. Detectives found a large amount of methamphetamine, three meth labs, and chemicals used manufacture methamphetamine. Both Joshua Sackberger and Kristie Matthews were booked into the Polk County Jail for Manufacture/Delivery of a Controlled Substance and Possession of Certain Chemical with the intent to Manufacture Methamphetamine (both are felonies). This is an ongoing investigation and more arrest to follow.